Are you a fan of the most popular 5.56x45mm NATO cartridge? Would you like to have a clean way to mark your ammo cans? 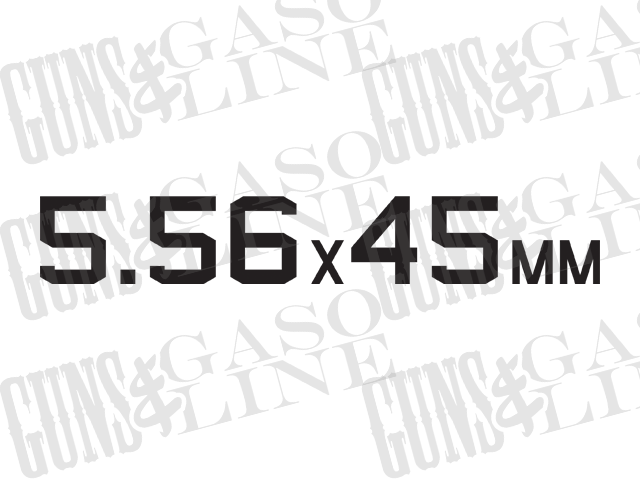 Pick up one or a few 5.56x45mm decals from Guns & Gasoline. These decals are cut from Oracal 651 Intermediate vinyl, and have a 3-5 year outdoor lifespan.